Happy Earth Day to Youuuuuuuu! It's April 22 on the calendar - it's much more around Earthworms' town, thanks to the year-round Earth-tacular efforts of our local non-profit St. Louis Earth Day. Today's guests are SLED Executive Director Jen Meyerscough and Bob Henkel (Champion of Compost), who heads up event Greening spring through fall by Recycling On The Go, and helps coordinate special SLED events. Details on the Recycling Extravaganza - this year on Sunday April 3, 10 am to 2 p.m. - include just some of the 20+ businesses and service organizations who'll be on hand to accept and properly deal with all kinds of hard-to-recycle (or reuse) items, from prescription drugs to carpeting to Mardi Gras beads. Check out the lineup online and pack your bike, car or buggy to dole out your items as you work your way around the St. Louis Community College - Forest Park campus parking lot. You - and your basement - will be glad you recycled at REX! And Earthworms looks ahead to the best Earth Day Festival in the USA, put on by folks who know their stuff and packed with good learning, Green eating, groovy music, unparalleled people-watching - and FUN. On Sunday April 24, 10 am to 6 p.m., join your fellow Earthlings on The Muny grounds in Forest Park for a planet party that produces almost Zero waste. Earthworms will see you there - starting at twilight on Saturday April 23, for SLED's big-fun fundraiser Earth Day Eve. Thanks to engineer Haley Hudson. Music: Mayor Harrison's Fedora, performed live at KDHX by Kevin Buckley and Ian Walsh. 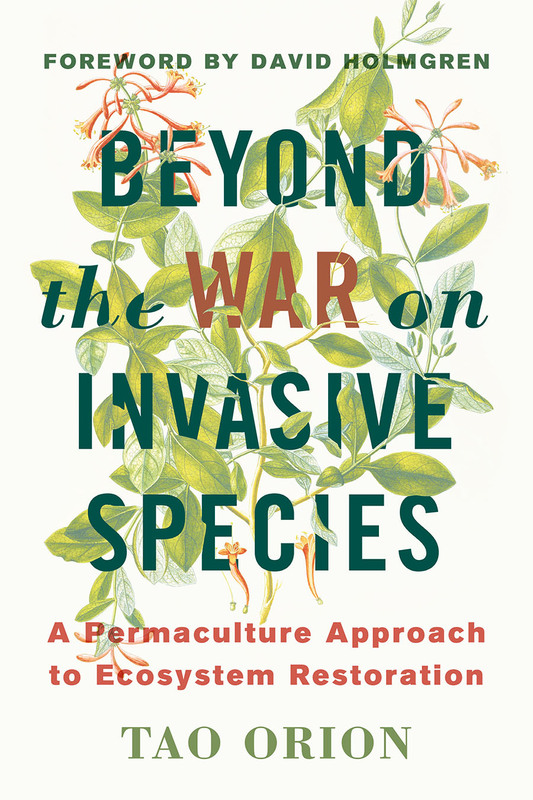 Permaculturist Tao Orion Goes "Beyond the War on Invasive Species"
Permaculture is a design discipline that strives to work with nature, pointing us to the solution that's found in the problem. 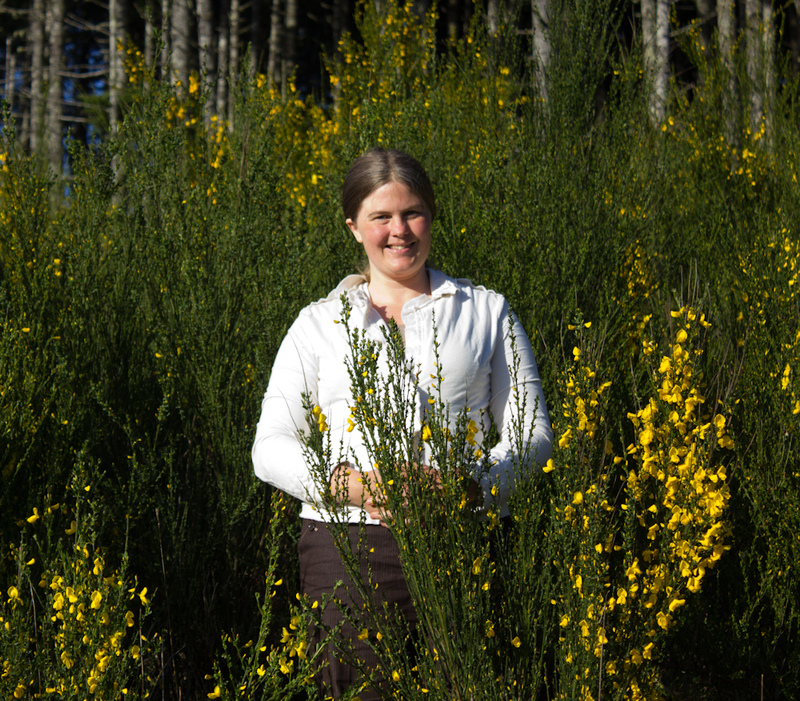 Permaculture practitioner, teacher and advocate Tao Orion has drawn on her work in Oregon's Willamette Valley to research and write "Beyond the WAR on Invasive Species" (2015, Chelsea Green). She presents long-view ecological perspectives on the kinds of eco-problems exemplified by invasive species - and how we humans can change our thinking, our processes, our questions into accord with Earth's systems. From edible landscapes to herbicide use, this conversation challenges easy-answer thinking. Earthworms values good questions - with thanks to you for listening and considering! Music: Magic 9 performed live at KDHX studios by Infamous Stringdusters. Move over, motors. In 2015, St. Louis ranked 5th among the 50 largest US cities where bike commuting is growing fast. Ranks of two-wheeled regular travelers here have swelled 270% since 2000. Cycling is a real commuter option, plus being anytime FUN. Taylor March takes this Earthworms podcast on a try-cycling tour. He rides to work as Education and Encouragement Manager for Trailnet, STL's long-serving active living non-profit org. You'll be encouraged to get around Greener by Taylor's perspectives on cycling safety, confident commuting, and how this region is truly transforming travel routes to support low-carbon, high-health alternative transportation. Find Trailnet on Facebook for special events, from get-togethers like Bikes & Brews to regional amenities on Bike To Work Day (May 20, 2016), which generates miles of data to make the case for civic investing in cycling infrastructure. Memberships support Trailnet's advocacy, work that's cranking' vitality for St. Louis bicycling culture. Music: Hunter's Permit by Mr. Sun, recorded live at KDHX-St. Louis. Related Earthworms Conversations: Elizabeth Simons of Great Rivers Greenway previewed STL potentials for BikeShare, a program working in cities like Portland OR and Washington DC (May 14, 2014). We're not quite there yet, but the upticks in cycling Trailnet supports are laying foundations for this urban amenity. Invasive Bush Honeysuckle: SWEEP It! Ah, that first refreshing flush of Green! Enlivening our yards and roadways. Aaahhh, so lovely . . . . NOT! The earliest leaf-er in our area is one of our most Invasive Species: Lonicera maackii, Bush Honeysuckle. The Kudzu of Missouri. AAARRRRGGGHHHH! What's a person with a honeysuckle "privacy hedge" to do? Theodore Smith of Forest Park Forever explains why this plant is such a problem - and how to remove it, safely and effectively. Artisan and woodworker Dale Dufer invites you to consider this too-abundant plant matter as a creative resource. His project Think About Tables is inspiring adults and youth to make something useful and beautiful from a plant that really grows quite elegantly (except too much, here). And Meg Hoester of the Missouri Botanical Garden invites you to participate in this region's first-ever Honeysuckle Sweep for Healthy Habitat, coming up March 5-13. Environmental groups all around St. Louis are teaming up - before tick and chigger season - to lead volunteers in bush honeysuckle removal, learn why this plant is such a problem, and get introduced to Native Plants as healthy habitat replacements, when you get rid of your bush honeysuckle. Lace up your sturdy boots, grab a clipper and give Bush Honeysuckle a pull! Music: Balkan Twirl - Sandy Weltman and the Carolbeth Trio, recorded at KDHX.